SUBSCRIBE & MANIFEST JOY IN YOUR LIFE! You get Five Powerful Guided Meditations and inspirational music as my GIFT! Learn to purposefully use gratitude, hope & love to massively transform your life! Limited Offer: Grab the eBook here for only 99 cents (US)! Enable you to overcome fear & doubt, build your self-confidence and develop an abundance mind-set! Inspire you to maintain hope and help you to become enlightened where inner peace, clarity & purpose are attained in your life! Help you to easily activate the laws of gratitude to bring everything you've always wanted into your life! A collection of soothing music tracks composed by Robert Clancy. 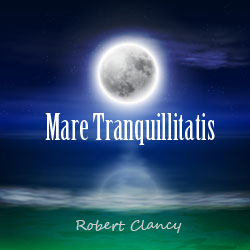 Mare Tranquillitatis is a magnificent collection of music specifically selected for its tranquil, soothing nature. These 10 peace-filled tracks - composed, chosen and sequenced by Robert Clancy - reflect the breadth and depth true inner peace. FREE Inspirational Personal Development Newsletter! * In order to prevent abuse of the system, please enter the 6 digit numeric code you see below into the text entry field before submitting this form. Get early access to Robert Clancy's upcoming guided meditations. Learn to manifest joy and hope through five guided meditations conducted by author/inspirational speaker Robert Clancy. All gifted to you! Grab the eBook here for only 99 cents (US)! You'll receive the Guide To the Soul newsletter with expanded thoughts on Robert Clancy's inspirational quotes all delivered straight to your inbox! Plus 10 inspirational music tracks! A magnificent collection of music specifically selected for it's tranquil, soothing nature. Robert Clancy is a creative visionary, #1 international bestselling author, spiritual teacher and co-founder of Spiral Design Studio. At age nineteen, Robert had a divine spiritual experience that altered his life in profound ways. In 2012, he created the Robert Clancy – Guide to the Soul Facebook fan page, where he shares his divinely inspired thoughts, now followed by over three-quarters of a million people worldwide. He is a sought after speaker, presenter and guest. Robert is also a regular contributor and weekly guest on Los Angeles KABC Radio's syndicated Late Night Health Radio Show. He's also co-host and producer of The Mindset Reset TV Show, which has a global reach of 500 million viewers weekly. His latest book Soul Cyphers: Decoding a Life of Hope and Happiness released October 2017 quickly became a #1 international bestseller. Robert is also a featured spiritual expert appearing with Dr. Joe Vitale, don Miguel Ruiz, Brian Tracy and Dannion Brinkley in the movie Becoming the Keys, set to release in the fall of 2018. 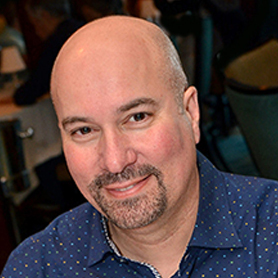 Robert also recently completed his filming of an episode for the 2018 season of the Emmy® Award winning Dr. Nandi Show which reaches over 300 million people on major cable and satellite television networks such as Discovery and ABC. As early as age six, Robert committed his life to assisting others, whether volunteering, helping them to succeed or even just offering a friendly smile. Robert is a husband, father and 5th Degree Master Black Belt Martial Arts Instructor. 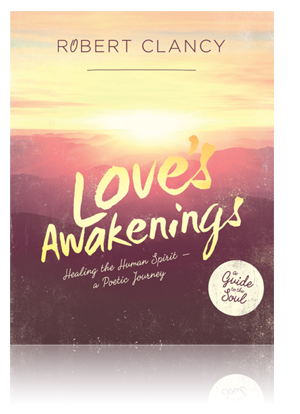 Inspirational stories and uplifting thoughts to enlighten your soul and nourish your heart. The Hitchhiker's Guide to the Soul book series will transform the way you think about community service while bringing deeper meaning in your everyday life and your career path. Copyright © 2015, Guide To The Soul, LLC All rights reserved.